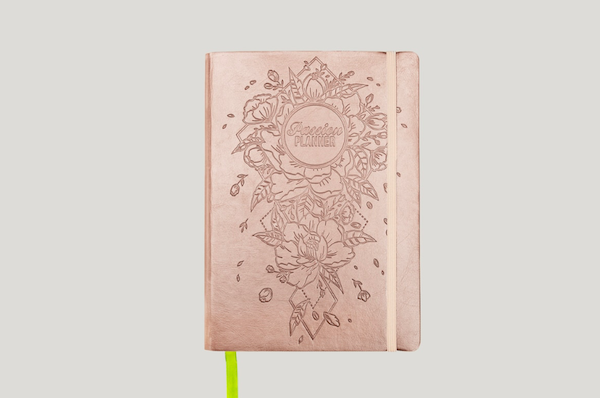 If you’re a passionate person, and you’re a planner, well, the Passion Planner is the perfect choice for you. I’m an über organized person. From managing my MFA studies, to freelance writing, to acting class, auditions, acting jobs, exercise, keeping track of my calories and macros, there’s a lot to tend to every day. I started off the year with a different planner, which I promptly recycled because it didn’t have individual time stamps for each day, which I realized was a must-have for my busy schedule. After much research, I settled on the rose gold Passion Planner for 2019, and honestly, my life feels much less stressful. With space for lists, add-ons you can tape into it (I use the financial planning pages), and reflections at the end of the month, this planner is more than a day-to-day journal, it’s a keepsake.